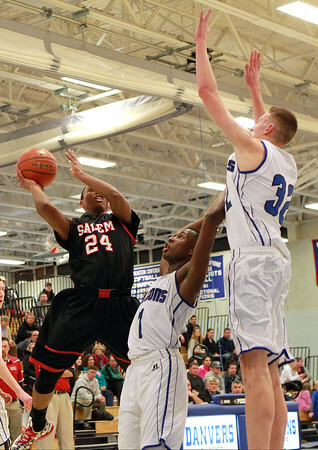 Salem senior guard Kelven Perpetuo (24) tries to hit a runner while being defended by Danvers junior guard Rashad Francois (1) and senior center Peter Merry (32). DAVID LE/Staff photo. 1/16/15.